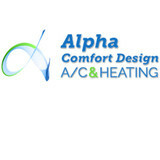 At Alpha Comfort Design, Inc., your comfort is our promise! When you choose our HVAC company, we will show you what component failed, why it failed, and we will explain how to prevent future failures from occurring. We will also explain the importance of maintenance check-ups to avoid breakdowns during the worst time of the year for climate control failures, April to November. Preventative maintenance of your central air conditioning and heating system is very similar to a vehicle’s oil change and tune-up. In our experience, most emergency repair calls are for systems that have not been maintained. 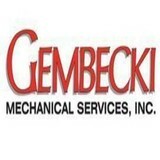 Gembecki Mechanical Services is family owned and operated, serving Orlando and Central Florida since 1991. Our goal is to provide safe, quality workmanship with outstanding service. We are “Good Guys to Have Around.” The customer is our first priority and we do whatever it takes to keep you and your family comfortable. Our office hours are 8am – 5pm, but we are on call 24/7 for any emergency. 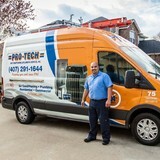 Pro-Tech has a technician near you, to deliver expert plumbing or air conditioning service with honesty, integrity, and a 100% customer satisfaction guarantee. Central Air Service LLC creates custom HVAC solutions for every size home. We have assembled an incredible in-house installation team of professional craftsmen that treat every job as a unique work of art. Details are our specialty! Part of the appeal of CAS is not just the commitment to quality and service, but the sense of family that extends not just to the actual family members, but also to each and every employee within the company. We’re extremely proud to be part of the local Orlando community and our customers can always count on us for superior service. 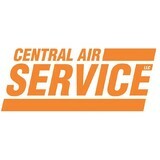 Even as Central Air Service has grown, our values- providing honest pricing, trustworthy repairs, and having a deep appreciation for our customers- still remain at the heart of who we are today. 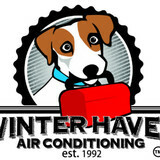 Winter Haven Air Conditioning, has continually provided superior HVAC services to existing residential, new residential construction, and small commercial construction projects, throughout the Winter Haven area since 1977. Kalos Services inc. is a full service residential company. We are licensed experts in Air Conditioning, Ductless systems, Electrical and Pool Heater service/installation. We can handle all of your properties needs! Call today or visit our website! At Kalos Services we do quality Air Conditioning repair/service for all brands, as well as install Carrier Air Conditioners, Mitsubishi Ductless Air Conditioners, Electrical Service and a myriad of Indoor Air Quality products. Don't be mislead by other companies low prices & false advertising gimmicks only intended for one sole purpose, to get their foot in your door and add everything needed to the low prices or to upgrade you with some "sales pitch". We do not believe that is a good beginning to an honest relationship. In today's economy, finding a good deal AND an honest company is imperative: We can help. Let Complete Air Mechanical show you the comfortable side of air conditioning. From replacing your existing system in your home to customizing energy solutions for new homes, Complete Air Mechanical delivers all your comfort needs at an affordable price. We feel that Complete Air Mechanical is more than just another contractor on the job. We view ourselves as an HVAC professional that will work with our customers to meet a common goal. To accomplish this feat, we must provide the best service and the best solutions at our very best price until comfort and satisfaction is achieved. Choosing the WRONG company could cost you more than you bargained for! Count on us to be your contractor of choice. We are Orlando's air conditioning and heating service/installation experts. Comfort Zone Air Conditioning AH Corporation is a family owned company that has been providing personal, quality service for homes and businesses. We have been operating in South Florida since 2001 and in 2013 we decided to expand into Central Florida. Expert Air Conditioning Service, Maintenance & Sales in Palm Bay, Melbourne, Viera, and the Beaches. We are a locally owned company providing Air Conditioning installations, service, repairs and routine maintenance. We provide free estimates and second opinions. All work is done or personally supervised by a licensed contractor, and our rates are very reasonable. We are a air condition service and installation company second to none offering unmatched services for 30 years in central Florida. Air Conditioning Repair Melbourne, FL Air Conditioning Installation Melbourne, FL Heating Repair Brevard County, FL Heating Installation Brevard County, FL Ductless installation, ductless service, ductless maintenance Honesty, integrity and quality… these are the common threads woven together to create the fabric that is Air Care Systems, Inc. of Titusville, FL. Air Care Systems, Inc.’s commitment to the environment and its community goes back to its founding in 1986 when founder Donald L. Hawthorne, a native Floridian, launched the company under the name of Air Care Systems. Air Care Systems began its operation from an office in the founder’s home with a small warehouse for storage. The company quickly began to flourish and the family owned and operated business grew rapidly and underwent incorporation in 1990. Hawthorne’s reputation for being an excellent contractor and honest businessman helped the company grow, and in response to this growth, Joey S. Powers was employed into a full-time position with Air Care Systems. After only four short years, Air Care Systems, Inc. was purchased by Joey Powers in January 1994. Air Care Systems, Inc. proudly remains family owned and operated. old ASC Truck4Joey’s goal was to make Air Care Systems, Inc. the definitive choice for service and installation in Central Florida. Initiated by the growing concerns of the public regarding health issues and its direct correlation with the environment, coupled with a need for response to Indoor Air Quality (I.A.Q.) issues, Joey, continuing in the footsteps of his predecessor, continued to grow the business and diversified the company to include whole house building science. The company has continued to prosper and grow into a fleet of trucks and a household name. Air Care Systems, Inc. has extended across Florida and their mission statement says it all…” Committed to excellence, enthusiasm, teamwork, and family values. We will be the “Best of the Best” providers of heating /air-conditioning products and services to our clients.” Joey’s commitment to quality workmanship and ethical business practices has ensured the success and continued growth of Air Care Systems, Inc. well into the future. One Stop Cooling and Heating is a full service HVAC company serving Central Florida for over 26 years. From a simple service call to leading edge technologies in energy efficiency and custom designed home comfort systems to commercial replacement or new construction, we do it all. Air Flow Designs is a Full-service HVAC company serving all of central Florida including the Jacksonville, St.Augustine, Kissimmee, Orlando, and Tampa / St. Petersburg markets. We specialize in services for both existing and new construction resdiential and commercial applications (duct install and design, AC service/repair, new system replacement or new installation, duct cleaning, etc..). Apple Air Conditioning & Heating, Inc. is a full service multi-discipline HVAC and refrigeration company founded in 1997 by owners Pete Lattner, Jr. and Kevin Butler on a foundation of over 20 years of industry experience. Located in West Orange County the company serves an ever growing base of clients in the Orange, Lake, Seminole and & Sumter Counties. Through the use of highly skilled technicians and mechanics, Apple Air Conditioning & Heating, Inc. provides a wide variety of HVAC and air conditioning service, maintenance, and installation solutions to include both residential and commercial facets of the new construction and replacement requirements of the industry. Next Generation Air & Heat Inc.
What do HVAC contractors do? “HVAC” stands for “heating, ventilation and air conditioning.” An HVAC technician or contractor specializes in heating systems, air duct cleaning and repairs, insulation and air conditioning for your Winter Park, FL home and other homes. Generally, Winter Park HVAC contractors or HVAC technicians work with or run companies that repair or install heating systems and air conditioning units for homes. But they have specialized services too. For example, if you are a wine collector and you are thinking of installing a wine cellar in your Winter Park, FL home, you might hire a Florida HVAC professional who specializes in refrigeration work. HVAC professionals can use their skills to help you to save money on your Winter Park, FL home’s energy bills by installing radiant barriers in your attic or split-zone heating and cooling systems to heat rooms like solariums while cooling upstairs bedrooms during warmer temperatures. If you or a family member suffers from allergies, you’ll want to find a Florida HVAC technician who is knowledgeable about the latest cooling and heating products that include antiallergen filters. Contractors who work in the HVAC industry keep up on the latest in heating and air conditioning technology so outdated or troublesome systems can be retrofitted with newer, more energy-efficient models. Some of these professionals may work with your contractor, builder or other home improvement professional to get the job done. Find HVAC contractors on Houzz. Look in the Professionals section of our website and search for Florida HVAC contractors. Read reviews and see how an HVAC contractor might approach your Winter Park, FL home’s heating and cooling challenges.